At Va Pensiero restaurant we have an unparalleled passion for Italian food, so we use the freshest and finest ingredients in our dishes. Order from the OUR MENU and get a 25% off your food bill. 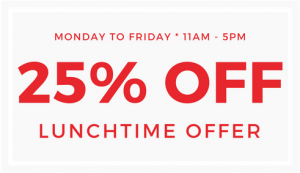 This Lunchtime offer is valid Monday to Friday from 11:30 am till 5:00 pm. Except for bank holidays. 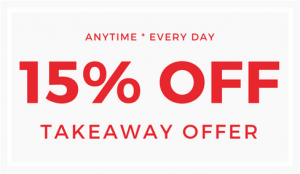 Order our dishes at any time + any day of the week and get a 15% off your TAKEAWAY food bill. Collection only. A selection of fresh Italian food. All the starters are available as a main course for £2.50 extra. We will be pleased to make your favourite pizza. Please ask your server. Served with a choice of either vegetable or fries or pasta in tomato sauce unless otherwise stated there might be a trace of bones in all our meat fillets. There might be a trace of bones in all fish fillets. A velvety layer of plum, berry and blueberry with hints of spice. Smooth, full red bodied with an intense and persistent bouquet. Aged at least for three years, dry and full bodied with great length of flavour. ALLERGENS: If you require information regarding the presence of allergens in any of our food and drink, we will be more than happy to provide this information.